My heart aches with those parents. I cannot stop thinking about them each day since. I can't read one article on the shooting without losing it. I should stop. I think about how Christmas is just a week away and how most of those families probably already had their trees up and gifts purchased for their little ones...maybe even wrapped and waiting under the tree. Can you even imagine??!! It makes me brim with tears just thinking about it. Murdering children. That's the lowest of low evils. I have my own horrors that replay in my mind of trying to revive my dead baby, but I can't imagine the horrors these parents must imagine of their babies slaughtered in their classrooms...or the horrors that replay in the minds of the surviving children who witnessed it. 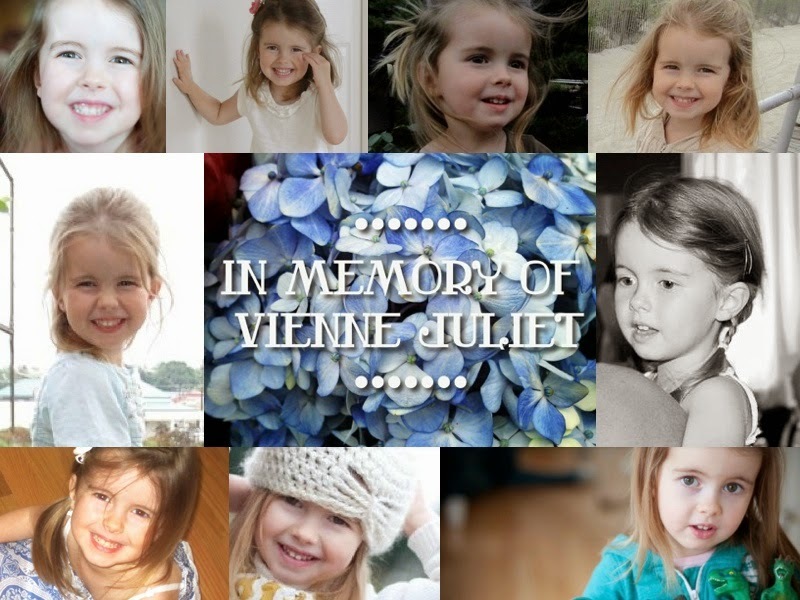 At least Vienne passed away in the safety of her home, painlessly and instantly. Christmas is already horrible enough for us this year...remembering the last four years and now knowing Christmas will never be the same. But having such a horror happen to your child one week before Christmas...well, I can only imagine that this will darken their Decembers for years to come....amongst so much else. It makes me fear for Ivy. What was Vienne spared from that Ivy might have to witness or endure? I don't know the answers to all of those questions but it sure makes me hate our world even more now. My one prayer request lately has been this: that God might, somehow, miraculously give me a glimpse of Vienne and where she is at. A vision or dream that would not leave me skeptical but would give me confirmation beyond any doubt. I was given that "Heaven is For Real" book about the little boy who almost died but was given a glimpse of heaven. It was a convincing read. But, I'm a skeptic. So, now I've been purchasing other books which are on the same topic. I want to compare other accounts of people "visiting" heaven. I want to know if it's just a bunch of hogwash because many of them just sound so "fluffy". But, if the accounts are all somewhat similar, maybe I can be convinced. And, if God can give these people a glimpse of that, then why can't He give me a glimpse of Vienne? Hhmm? I thought it couldn't hurt to ask. My mother sent me a picture of a painting this weekend that was passed along to her. Look at it. Doesn't it make you stop in your tracks....catch your breath? It looks just like my baby girl. I don't know the artist or origin of this painting, but I am going to do my best to find out. I want to know the story. And, I kind of want this to be recreated for us with the details perfected to our Vienne's face. I think it would be good for me to have a painting like this hanging in my home, somewhere....where I can pass it each day and be reminded of where she is at. Security, by David Bowman. My friend has it. I saw it in October at just started crying. It even more looks like Vienne in person. 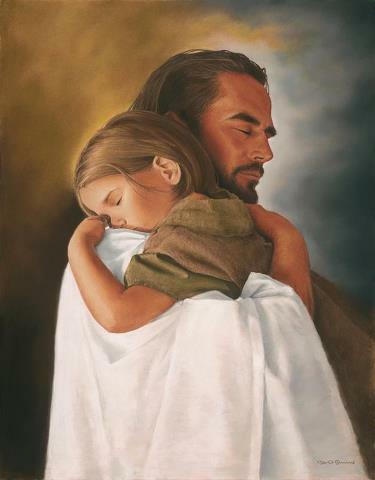 It was good tears because so much peace in its real ness in seeing her held in Jesus arms. What a HUGE blessing to see this picture on your blog this morning!!! God give His greatest grace and sweetest peace to those who are in the midst of deepest sorrow, and turn to Him for healing. What an amazing answer to prayer! Jenny, even though I rarely leave comments I think of you and pray for you daily. I have been reading a book recently called "Heaven" by Randy Alcorn. It is a large book but it is filled with good research on what the Bible has to say about Heaven, both the intermediate Heaven where our loved ones are now and what the New Heaven and New Earth will be like. There are just a few chapters on the Intermediate Heaven, so you wouldn't need to read the whole book to get a glimpse at what Vienne is experiencing now in Alcorn's opinion. However, I will say that reading this book has caused me to be excited about Heaven and not just to see my loved ones, but to experience all that God has in store for us. Perhaps it will be some comfort for you, if you choose to explore it. I just figured I would pass on the resource to you for you to do with as you please. Wow, yeah that picture does take my breath away. What a comfort that might be to have it hanging in your home. Also - have you seen the Duplo blocks commercial - the girl in it looks EXACTLY like Vienne, it always stops me in my tracks when it comes on. I wish and hope and pray God will send you a concrete sign or message about Vienne. Oh my soul, that does look like Vienne! Wow Jenny! Your mom sent that picture to me too. So much emotion. I love it.